Good morning. It's Thursday, Feb. 14. • Redding is paralyzed by its heaviest snowfall in 50 years. • Actor Jussie Smollett speaks out about doubters of attack. • And recalling a female pioneer who defied the K.K.K. 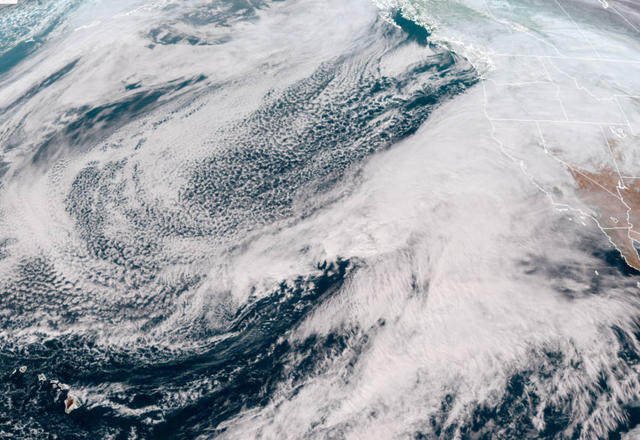 in L.A.
A major storm swirled over California Wednesday afternoon. • Residents near a burn scar southeast of Los Angeles were told to evacuate. Some weren't having it. "I'm not going this time," one man said. "I've got 35 chickens and a daughter who won't leave them behind. So we're staying." A.P. 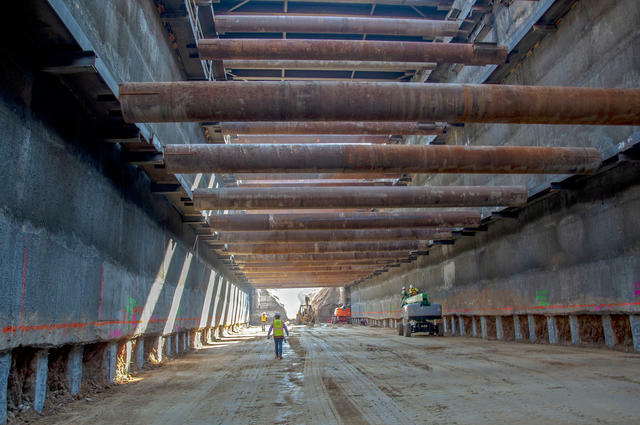 Work on the the high-speed rail project near downtown Fresno last month. After calling a high-speed rail connection between San Francisco and Los Angeles unrealistic, Gov. Gavin Newsom tried to knock down reports that he had abandoned the project. It was "just interesting" reading the headlines, he told the Fresno Bee. "Look, my whole point is to get this project back on track. We’re way over our estimates in terms of costs and timelines, and people are frustrated." In a tweet, President Trump declared the rail project a "green disaster" and demanded that California return $3.5 billion in federal funds. "Fake news," Newsom tweeted in response. "We're building high-speed rail, connecting the Central Valley and beyond." The governor set off a wave of speculation by suggesting that Californians should get a share of the billions of dollars that tech companies make using their personal data. The "data dividend" concept is based in part on a model practiced in Alaska, where residents get oil royalties. The countryside near Colusa, where the Browns go back generations. 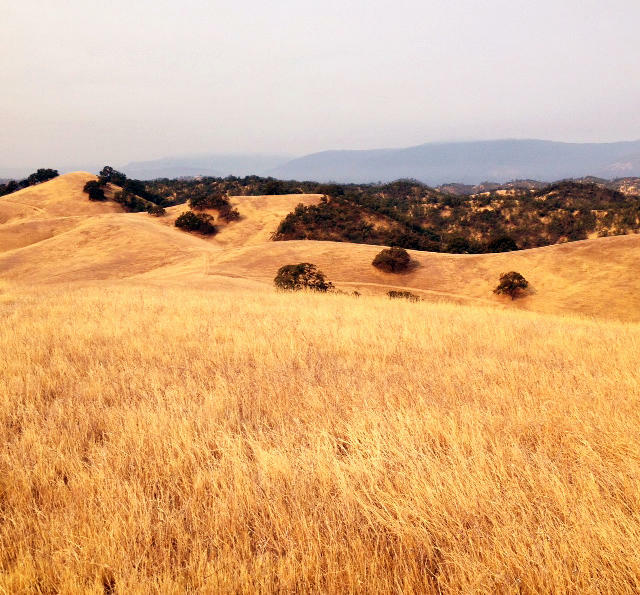 In Colusa County, the hills are golden and the ranchers are Republican. It's there that former Gov. Jerry Brown, liberal darling, plans to live out his days. On a recent day at a coffee shop, rancher Gordon Detlefsen crossed his arms when the subject turned to Brown. "I don't think you're going to catch Jerry in anything you have to saddle," he said. "He's not part of our world." 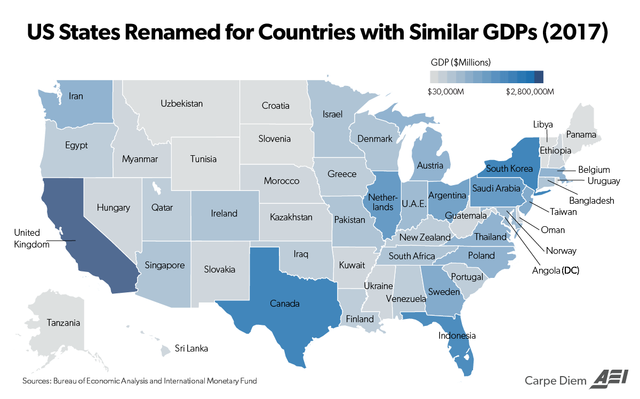 A conservative think tank compared the economies of individual U.S. states with entire countries. In 2017, California had a similar economic output — $2.75 trillion — to that of the United Kingdom. That's despite having a much smaller labor force: 19.3 million workers in California compared to the U.K.'s 33.8 million. 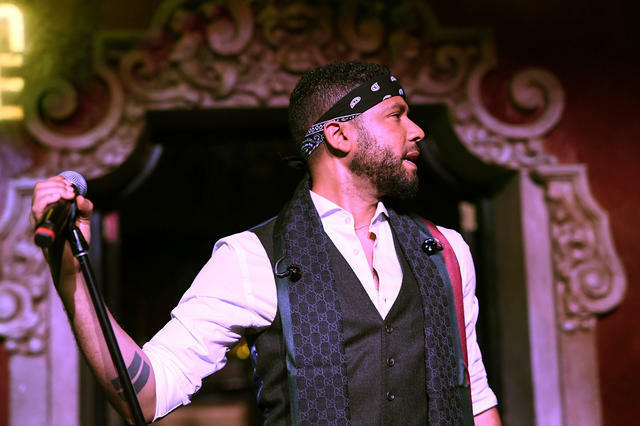 Jussie Smollett performed on stage in Hollywood in December. Jussie Smollett, the Santa Rosa actor who stars in "Empire," said he was "pissed off" after critics cast doubts about his account of being attacked in Chicago by men yelling racist and homophobic slurs. "It was a thing of, like, 'Listen, if I tell the truth then that's it, because it's the truth," he said. "Then it became a thing of like, 'Oh, how can you doubt that? Like, how do you — how do you not believe that? It's the truth.'" Many RV dwellers don't want housing help. San Francisco's army of curbside RV dwellers have been a growing headache for the city. Part of the trouble is many actually prefer to stay right where they are. 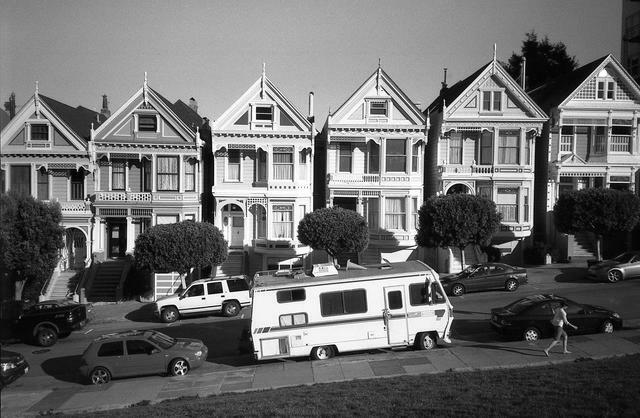 A survey found that 8 out of 10 people living in cars or RVs in San Francisco have no interest in permanent housing. "They don't feel homeless," a county leader said. "They feel like they have something." A marijuana bust in far northern California. What will happen to the California National Guard troops pulled from border duty? Gov. 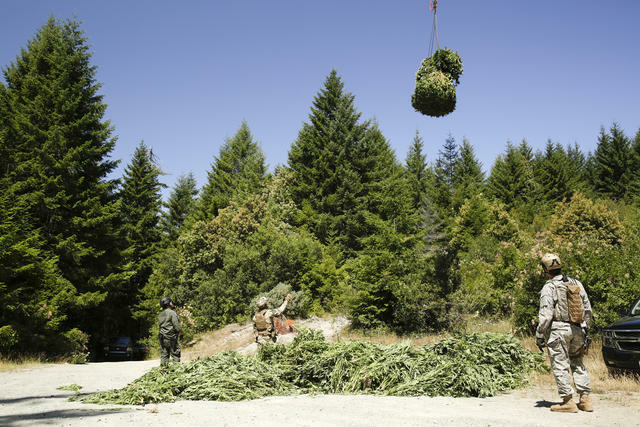 Gavin Newsom said some would be deployed to Northern California's Emerald Triangle to combat illegal cannabis farms, "many of which are run by cartels." San Rafael is sticking with Dixie — for now. After an emotional debate, officials rejected alternatives for the 150-year-old name of the Dixie School District, despite critics who say it evokes the Confederacy and slavery. Dixie supporters, who say the name originated with a Miwok Indian named Mary Dixie, claimed victory. Much of the trail would be pass through Humboldt's redwood backcountry. 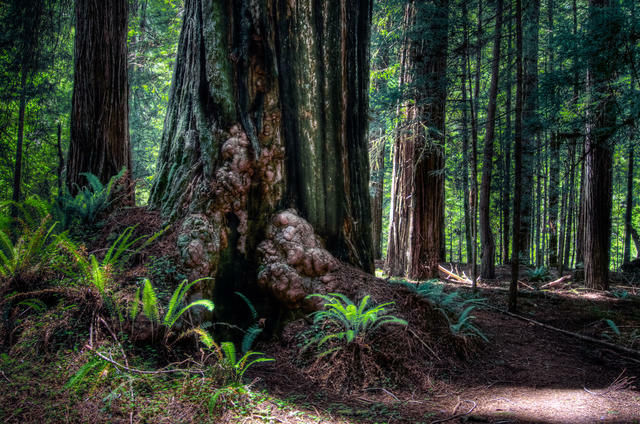 The proposed Great Redwood Trail is moving closer to reality. The route would turn 320 miles of decommissioned railroad tracks into a bike path winding from Marin County to Humboldt County, including views of remote redwood wilderness few have laid eyes upon. The when remains uncertain, said a former parks official, but not the if. "Oh absolutely, absolutely. No question," she said. The San Diego public broadcaster KPBS requested records from the county sheriff under a new state transparency law. Sure thing, the department responded: That'll be $354,524.22. Officials said the fee was necessary to cover the cost of reviewing and redacting records from 48 use-of-force cases. Henry Nicholas, an Orange County billionaire and co-founder of Broadcom, was charged with multiple charges of narcotics trafficking. Police said they found heroin, meth, cocaine, mushrooms, and ecstasy in a hotel suite he was sharing with a female companion in Las Vegas. This is Wayfarers Chapel, a glass church in Rancho Palos Verdes. 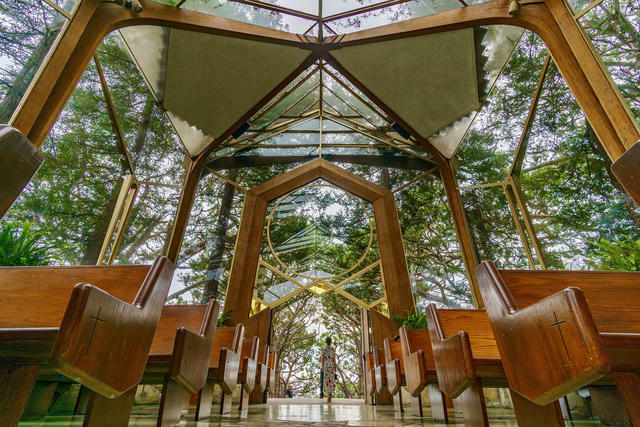 Designed by Frank Lloyd Wright's son, the Swedenborgian church is surrounded by large redwoods and perched on a cliff with panoramic views of the Pacific. The romantic setting has made it among California's most desired wedding venues, hosting roughly 800 nuptials annually. Charlotta Bass with an edition of the California Eagle, circa 1952. 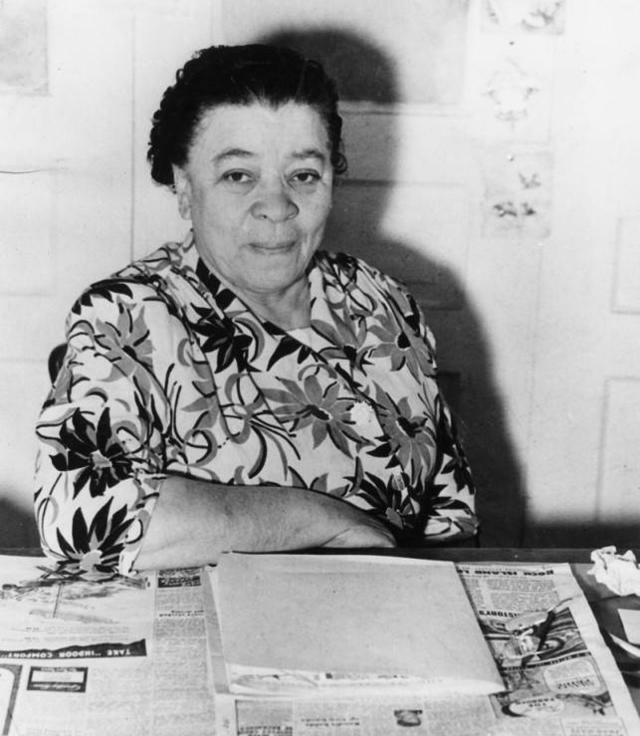 Charlotta Bass was a fearless pioneer who took on the Ku Klux Klan as editor of the black community newspaper the California Eagle. Born in South Carolina on this day in 1874, Bass came to Los Angeles in 1910 and got a job selling subscriptions for the Eagle. In time, she rose to the top job, sending tongues wagging about the anomaly of a female newspaper editor. She used the editorial page to denounce the K.K.K.’s activities in Southern California, and endured threatening phone calls at all hours as a consequence. The campaign of Klan terror taught her, she once wrote, "that those gentlemen who cover their heads and faces with sheets and hoods are cowards of an indiscriminate and blasphemous type." Her husband and co-editor, Joseph Bass, would often tell her that she was going to get him killed. "Mr. Bass," she'd reply, "it will be in a good cause." An earlier version of this newsletter misstated the amount of snow that fell in Redding early Wednesday. It was up to 14 inches, not more than two feet.